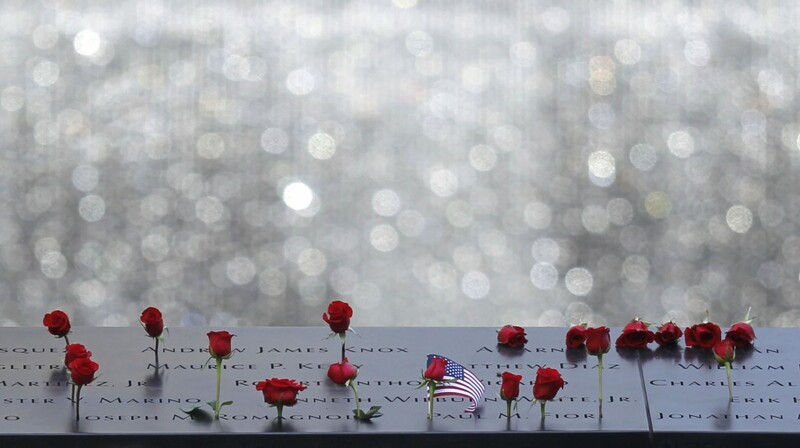 It is the fifteenth anniversary of the events of September 11, 2001. As with other formative events anniversaries invite us to remember and try to make sense of what happened on that day in history. Such remembrances also invite us to reflect on what has transpired in the intervening years. I knew then that nothing would be the same again, but I couldn't imagine at that moment that we would enter into a myriad of wars and conflicts and that fear would reign. On the Sunday following, I preached a sermon on grace and addressed our feelings at the moment. I wanted to appeal to our better angels, but I'm not sure everyone was ready to sing Amazing Grace. I think many would have preferred the Battle Hymn of the Republic. In any case, below is the sermon I preached on September 16, 2001. I share the sermon as a remembrance (and because I'm not preaching today). Note, however, that these are lectionary texts for today. On the morning of April 19, 1995, at about 9:00 a.m., I turned on the TV, as I often did before heading for Pasadena to teach my church history class at Fuller Seminary. As the TV came on, I watched in horror and grief the scene at the Murrah Federal Building in Oklahoma City. There on the screen, I could see people staggering out of a building in ruin. As I continued to watch, I saw people being carried out, some alive, and some dead. No one knew, at that point, quite what had happened. Was it an accident? Was it a bomb? If it was a terrorist act, could it happen here? I mean, I live in Southern California, but Oklahoma City; you don't expect something like that in the Midwest. Though I lived far away, I was immediately drawn to the scene. I wept with those who were weeping; I was angry with those who were angry; I hurt with those who were hurting. I began dealing with this issue pastorally, as I joined my usual Tuesday morning breakfast group. We talked about what little we knew, and at that point we knew very little. We wondered, what has happened? Then, as I walked in the door of the office, my colleague Lloyd Saajtian of the Methodist Church was on the phone asking: What should we do? The answer to that was: we must gather the community together to pray and reflect. Tonight's service at the Methodist Church is a result of that conversation. It will be a powerful time of gathering together. We will come as Muslims, as Christians, as Jews, as Buddhists, as people of questioning faith and with no faith at all, to pray and seeking healing. But this is only one step in the process of finding healing and reconciliation. Violence is rooted in deep human emotions, emotions of anger and resentment; feelings of oppression and injustice; emotions that lead us to seek vengeance against our enemies. And when anger catches hold of us, we often look for a scapegoat, someone to blame, to react to. As people reflected on this event, many raised the specter of Pearl Harbor, and in some ways there are similarities. While both events rallied the American people, both events have their dark side. It did not take long for Americans to decide that all Japanese were responsible for that day of infamy. So normally decent people lashed out at their neighbors and the government locked law-abiding Japanese-Americans in concentration camps, stripping them of their material goods and their dignity in the name of national security. There is already evidence that many "Americans" have begun to do the same to our Arab and Muslim neighbors: Death threats, assaults, arrests of innocent people, for no other reason than that they look "suspicious." One young Muslim man said, they talk about Pearl Harbor, and I wonder if I like Japanese-Americans of that age will get sent to a concentration camp. So the question lays before us: Will we return violence for violence? Or, will we take a different course?